Traditionally, Labor Day has come to symbolize the end of summer. Held the first Monday in September, the long weekend is often marked by outdoor activities and barbecues set against the backdrop of summer’s last warm afternoons. Unfortunately, this long weekend has also become one of the deadliest, as partygoers choose to get behind the wheel after drinking. Over the Labor Day holiday periods from 2010-2014, there were 2,007 people killed in traffic crashes on our nation’s roads, and 401 people were killed on that weekend (6 p.m. August 29 – 5:59 a.m. September 2) in 2014 alone. 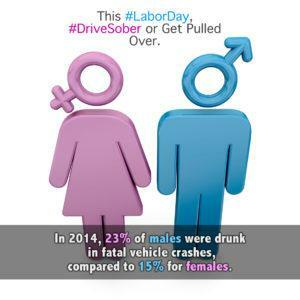 Of those fatal Labor Day holiday crashes in 2014, almost half (48%) involved drivers who had been drinking; 40 percent involved drivers who were legally drunk (with a blood alcohol concentration of .08 or higher); and 28 percent involved drivers who were almost twice the set limit (BAC of .15 or higher). According to the National Highway Traffic Safety Administration (NHTSA), there were 9,967 people killed in drunk-driving crashes in 2014. In fact, on average, 10,082 people died each year (2010 to 2014) in drunk-driving crashes. During the 2014 Labor Day holiday period, 40 percent of the traffic deaths involved a drunk driver, which was the highest percentage over the last five years (2010 to 2014). And nighttime is the deadliest time on the road: during the 2014 Labor Day holiday period, 83 percent of drunk-driving crash fatalities occurred between 6 p.m. and 5:59 a.m. 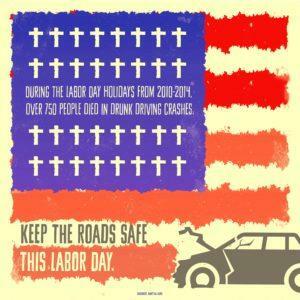 These sobering figures are a clear sign that Labor Day weekend is a dangerous time to be on the roads. Consider it this way: if every driver had been sober in 2014, traffic fatalities could have been reduced by almost a third, and more than 10,000 people would still be alive today. To help keep our nation’s drivers and passengers safe, law enforcement agencies across the nation are partnering with NHTSA to help put an end to drunk driving. From August 19 through Labor Day, September 5, officers across the country will participate in the national high-visibility enforcement campaign, Drive Sober or Get Pulled Over. The message is simple: law enforcement officers will patrol roads in full enforcement, showing zero tolerance for drunk drivers. If you are driving drunk, you will be arrested. And remember that drinking alcohol lowers inhibitions, causing you to make decisions you may not otherwise make. Do not trust yourself when you drink: alcohol impairs your ability to recognize that you are drunk. Today, law enforcement officers’ skills in detecting and identifying drunk drivers are better than ever. There are no excuses for driving drunk—we all know it is against the law. Drivers are not only putting themselves at risk, but also their passengers, other vehicle occupants, and other road users, including pedestrians and bicyclists. In 2014, while 64 percent of those killed in drunk-driving crashes were the drunk drivers themselves, another 15 percent were their passengers, and 12 percent were occupants of other vehicles. Tragically, 1 in 5 children (14 and younger) killed in motor vehicle crashes in 2014 were killed as passengers in drunk-driving crashes; 56 percent of the time, it was the child’s driver who was drunk. Labor Day shouldn’t be marked by tragedy. The holiday weekend doesn’t need to be one of the deadliest of the year. Drunk driving is 100-percent preventable. The goal of the Drive Sober or Get Pulled Over campaign is to spread the word about the dangers of drunk driving through statistics, social media, and increased enforcement. It’s time to end this deadly crime. • Approximately one-third of all traffic crash fatalities in the United States involve drunk drivers (with blood alcohol concentrations [BACs] of .08 of higher). In 2014, there were 9,967 people killed in these preventable crashes. In fact, on average, over 10,000 people have died each year (2010 to 2014) in drunk-driving crashes. • Over the Labor Day holiday period (6 p.m. August 29 – 5:59 a.m. September 2) in 2014, there were 401 crash fatalities nationwide. Almost half (48%) of those fatal crashes involved drivers who had been drinking (.01+ BAC); 40 percent involved drivers who were drunk (.08+ BAC); and more than a fourth (28%) involved drivers who were driving with a BAC almost twice the illegal limit (.15+ BAC). • In 2014, approximately 1 in 5 children killed in traffic crashes (14 and younger) were passengers in drunk-driving crashes. 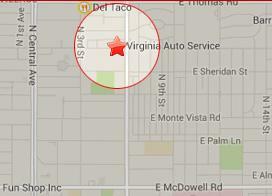 Fifty-six percent of the time, it was the child’s own driver who was drunk. • In addition to the human toll drunk driving takes on our country, the financial impact is devastating as well: based on 2010 numbers (the most recent year for which cost data is available), impaired-driving crashes cost the United States $44 billion annually. • In every State, it’s illegal to drive with a BAC of .08 or higher, yet one person is killed in a drunk-driving crash every 53 minutes in the United States. • Of the 9,967 people killed in drunk-driving crashes in 2014, 64 percent were the drunk drivers themselves. • In fatal crashes during the month of August over the five-year period of 2010-2014, almost 1 out of 10 (7%) of the drunk drivers involved had one or more previous convictions for drunk driving. 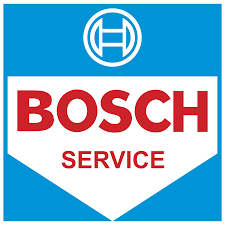 • Men are more likely than women to be driving drunk in fatal crashes. In 2014, 23 percent of males were drunk in these crashes, compared to 15 percent for females. • Drunk driving is more common at night, and Labor Day weekend in 2014 was no exception. 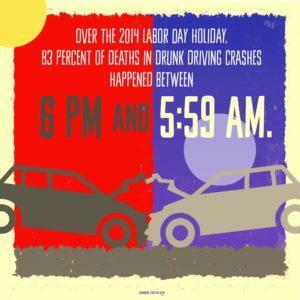 During the 2014 Labor Day holiday period, 83 percent of drunk-driving crash fatalities occurred between 6 p.m. and 5:59 a.m.
• Among the drivers between the ages of 18 and 34, who were killed in crashes over the Labor Day holiday period in 2014, 51 percent of those fatalities involved a drunk driver with a BAC of .08 or higher. • Motorcycle riders have the highest overall rate of alcohol impairment in fatal crashes. In 2014, 29 percent of the motorcycle riders killed were riding impaired. 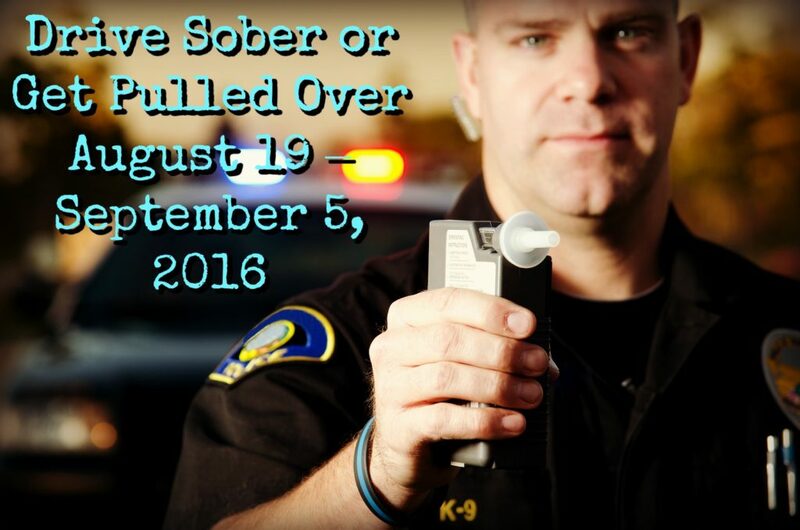 The Driver Sober or Get Pulled Over national enforcement campaign ends on September 5. However, you should avoid drunk driving in all situations throughout the year. Drunk driving is never okay. You need to refrain from drinking any alcohol if you are planning to drive. For some people, even one drink is too many. 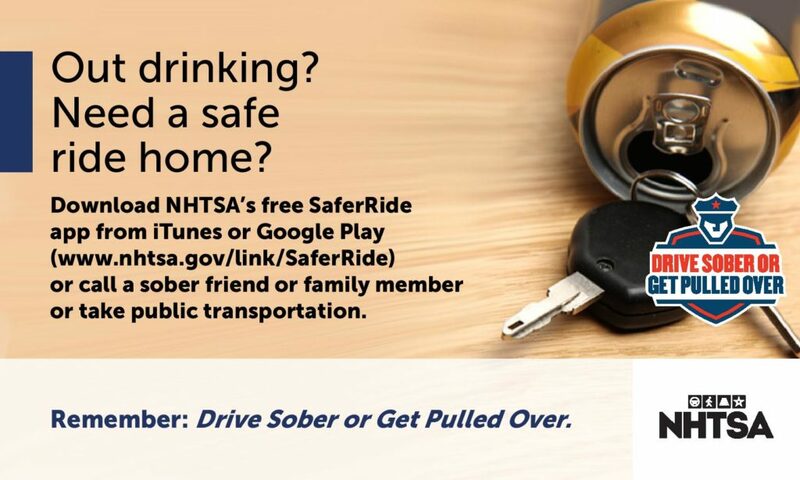 And there are always other options to get you home safely, like trusted friends or relatives, or public transportation. Remember: If you’re planning to party this Labor Day weekend, plan ahead. Line up your sober ride home before you have your first drink.